I have the right to life, liberty and chicken wings. Marisa and Jacob are here for a week and of course the menus are ever-changing according to their individual likes one of which is Marisa’s chicken wing dinner and good opportunity for me to share a giant package of wings and a new to me recipe from Donna Hay. For the second time this week I am dipping into the miso container, red miso that is as I have vowed not to get more until this one is gone and I always have a use for wonderful miso. The side bonus is a small pot of chicken stock made with the usual ingredients and all of the wing tips trimmed from whole wings. Simply cut the wing tips off 2-3 pounds of wings and then cut through the joint for two pieces, wash and pat dry the wing tips and set aside. In the mean time thoroughly blend 1/3 cup red or white miso, 2 tablespoons vegetable oil, 1/4 cup honey, 1/4 cup soy sauce or tamarin, 2 cloves of minced garlic and 1 tablespoon of grated ginger. Quarter a couple of limes to squeeze over the finished wings. Toss the wings into the marinade and throughly coat. Just a note if you like your wings spicy consider adding a bit of Sriracha chili sauce to the marinade. 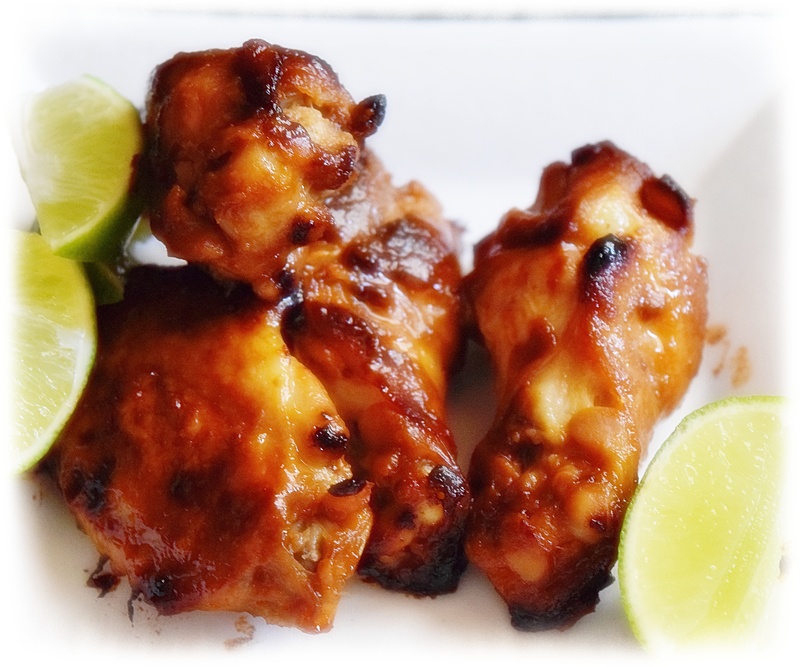 Heat the oven to 400º Lightly oil a sheet pan and spread the wings in one layer. Roast for 20-30 minutes, turn and roast for another 20 minutes, serve hot with lime wedges and your favorite hot sauce.